The Cordis Trust is delighted to invite submissions for the fourth Cordis Prize for Tapestry. The aim of the prize is to reward ambitious and skilled use of tapestry weaving techniques. We hope that the prize will attract international entries from established artists working in the field of contemporary tapestry. We are looking for works that are essentially woven - they should reference traditional Gobelin techniques, but need not be wholly constructed using this method. Works need not necessarily be two dimensional or wall hung, we hope to encourage ambitious and non-conventional applications of tapestry weaving. 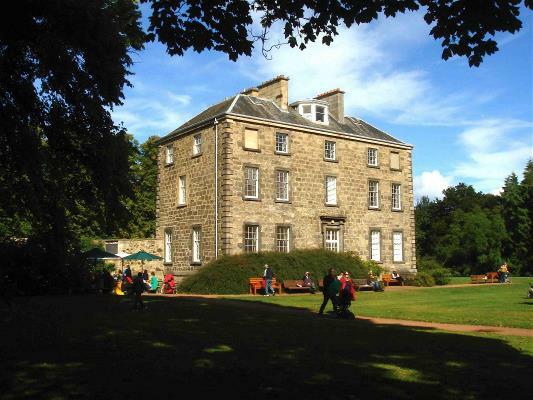 Shortlisted entries will be exhibited in the stunning setting of Inverleith House, located at the heart of Edinburgh’s Royal Botanic Gardens.hortlisted work must be available for exhibition between Friday 8 March and Thursday 30 May 2019. Please login to find out what happens next. We have tried to make the entry process as easy as possible but the Internet sometimes baffles the best of us. Luckily help is at hand, if you experience any technical problems using the OESS system then please contact Andy on andy@int-tech.co.uk and he'll try to help you as much as possible. Please Note: Enquiries regarding the 'Call to artists' rules and exhibition info should be directed to the exhibition organisers, whose email can be found in the left hand column.